You use contrast clauses when you want to make two statements, one of which contrasts with the other or makes it appear unexpected or surprising. Some contrast clauses – called concessive clauses – are introduced by conjunctions such as although, even though or while. Although Mrs. Sims had lived in Hong Kong all her life, she knew very little Cantonese. While the number of families with access to the Internet and cable television has risen sharply in the past decade, what tends to be overlooked is that a significant proportion of households are unable to afford the fees for these services. Although Kelvin worked hard, but he failed the examination. You can leave out the subject and the verb be in a contrast clause when the subject of the contrast clause and the main clause are the same (e.g. he was in the following sentence). Though / Although [he was] hard working, Kelvin failed the examination. You will sometimes see the word albeit used in formal English. Albeit can come before an adjective, adverb, or adverbial phrase. In the sentence below, ‘albeit rather reluctantly’ means ‘even though she did so rather reluctantly’. 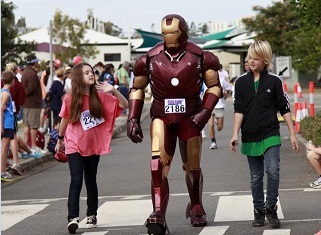 Jayne participated in the charity walk, albeit rather reluctantly. You can also use despite or in spite of to make a contrast. These are followed by either a noun phrase or an ‘ing’ form. Despite working hard, Kelvin failed the examination. In spite of his hard work, Kelvin failed the examination. Despite he worked hard, Kelvin failed the examination. If you want to follow despite or in spite of with a clause you must add the fact that. 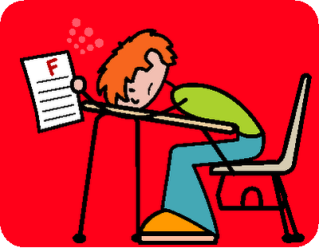 Despite the fact that he worked hard, Kelvin failed the examination. He was poor yet generous. He worked slowly yet effectively. He loved animals, yet he hated snakes. Combine the following sentences using the conjunctions in bold to introduce contrast. More than one type of word order is possible. In spite of /despite the fact that he was over 60, he got the job. In your written and spoken assignments you will often need to answer the question ‘Why?’. When you want to explain why something happens, you can use a reason clause introduced by the conjunctions because, as or since. As she wanted to practise her spoken English, Carrie regularly took part in the ELC’s Big Mouth Corner. Mark joined the English Drama Club because he wanted to improve his intonation. Since he was interested in movies, so David joined the PolyU International Film Society. You can also use the prepositional phrases because of, seeing that and on account of to express reason. We were unable to carry out the experiment on account of a malfunction in the computer. We were unable to carry out the experiment seeing that there was a malfunction in the computer. We were unable to carry out the experiment because the computer malfunctioned. Match the main clause on the left hand side with the subordinate clause on the right hand side, so that the sentence makes sense. Put the conjunctions below into the spaces in the text that follows. In some cases, more than one option is possible. Many of the public areas are obstructed since because seeing that some residents have been putting personal belongings outside the doors. In spite of warnings posted on the notice boards, some residents have continued to do this. Another problem is waste disposal. Some residents fail to put the lids back on the bins and because of this thoughtlessness, cockroaches have been sighted on the stairwells. Although we have laid bait traps all over the building, we cannot solve the problem because since seeing that people continue to leave rubbish exposed. Seeing that Because Since such behaviour poses a severe health hazard, we should consider legal action against persistent offenders.